Words like “iconic” crop up in our modern culture with the frequency of reality TV shows, losing all meaning in the process, but the Museum of Russian Icons, in Clinton, MA, lives up to every definition of the word. Pictorial representations. Religious images painted on small wooden panels. Objects of uncritical devotion. Emblems. Symbols. While we’re at it, beautiful, startling, and quietly riveting. You’d have to travel to Siberia to see a larger collection of these Russian beauties. Not really, but you get the point. With 500 icons unexpectedly tucked away in a gorgeously restored brick mill building in the small town of Clinton, it is one of the largest collections outside Russia, and the largest in North America. Gordon B. Lankton made a fortune in plastics. While he was at it, he traveled regularly to his company’s factory in Russia, where he developed an obsession with icons. In 2006, Lankton graced us with his vision and his icons, opening a gem of a museum overlooking Clinton’s historic Central Park. 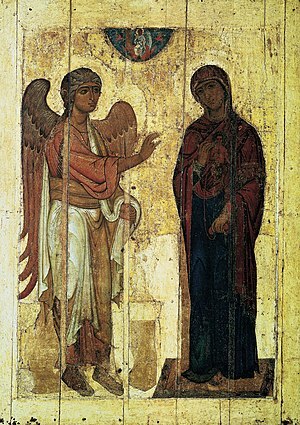 The oldest icon dates to 1450; other artifacts go back to the 10th century. We’re all victims of information overload these days—TMI. For instance, it’s not enough for Merriam-Webster to give me a definition of “icon.” I was also confronted with a string of over 200 words that rhyme with icon, including capon, chiffon, doggone, and krypton. Russian icons are reminders of less information. Confirmation that less is frequently more. A picture can be worth a thousand words, and these solemn images encapsulate something basic, grand, and, in the end, bigger than us all. Iconic indeed. Hours: Tues-Fri, 11-3; Sat 9-3, Thurs 11-7; 203 Union St., Clinton MA, 978-598-5000. This entry was posted in Travel and tagged Clinton MA, eccentric New England, Icon, Massachusetts, Offbeat New England destinations, offbeat travel, Russia, Russian icons. Bookmark the permalink.